Beck's short run of concerts in spectacular, scenic parks in the Northwest comes to Burnaby, British Columbia (the town next to Vancouver). Jenny Lewis opened. 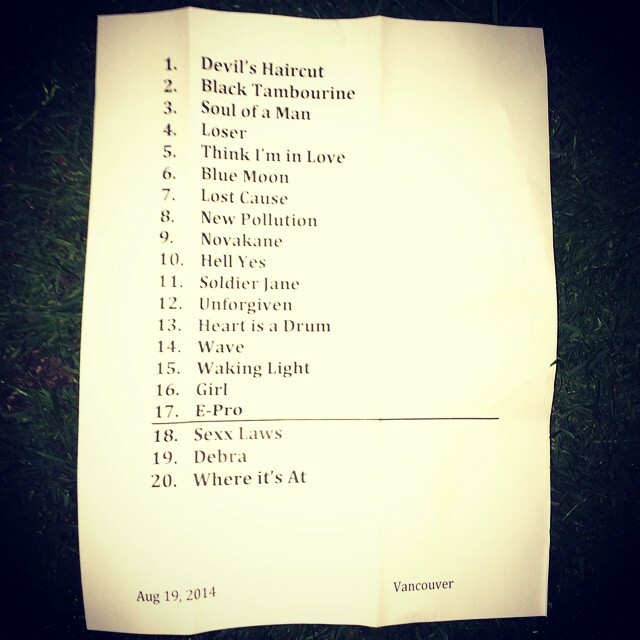 Setlist from the image below, mainly.